Constructed around a 14-hour interview, McKellen: Playing the Part uncovers the remarkable story of actor Sir Ian McKellen. From his upbringing living through the Second World War, working through repertory and West End theatre, becoming a pioneering stage star, coming out and being a leader in the campaign for equality, to his mainstream film breakouts as Magneto and Gandalf. His work and influence transcends generations, celebrated here in this fully authorized insight. 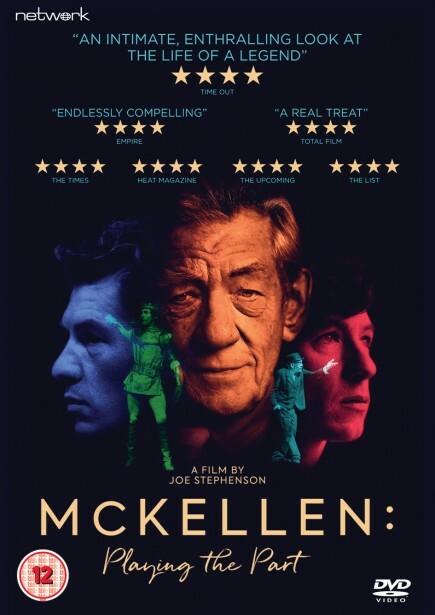 Directed by the award-winning Joe Stephenson, this remarkable film features unprecedented access to private photo albums, a wealth of never-before-seen archive material, including diaries written when he was 12, and exclusive behind the scenes of theatre shows and films – alongside McKellen's personal thoughts on a life long lived.